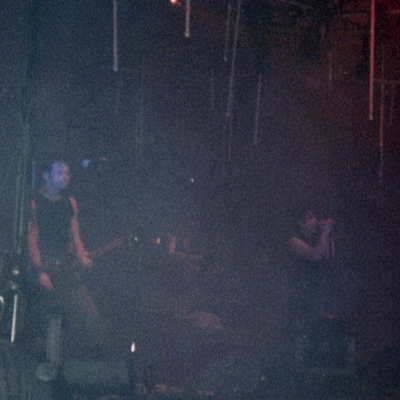 Some old pictures from Nine Inch Nails (both dates in Brixton in December '99) and The Cure (Shepherd's Bush, December 1997). 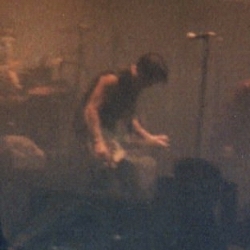 I've been to see Therapy?, Steve Vai/Joe Satriani, various festivals, Apoptygma Berzerk, Inkubbus Sukkubus, Paradise Lost, Garbage and so on, but I can never remember a camera, and Im too busy moshing at the front. Ho hum. 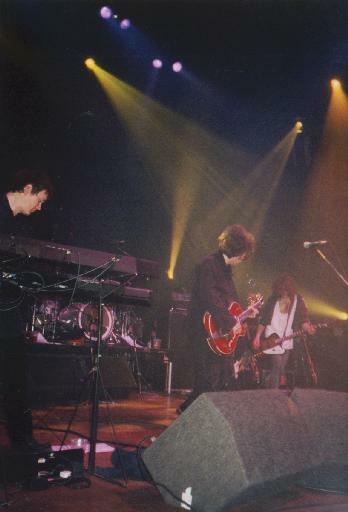 The Cure perform my favourite song, Edge of The Deep Green Sea, swathed in green light. I really was up at the front! Not a bad shot for a disposable camera. 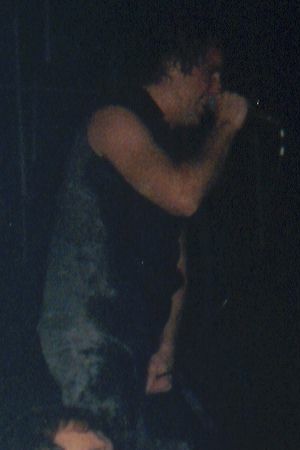 Nine Inch Nails - wearing black on black, they fade into the darkness despite the fluorescent tubes hanging overhead. 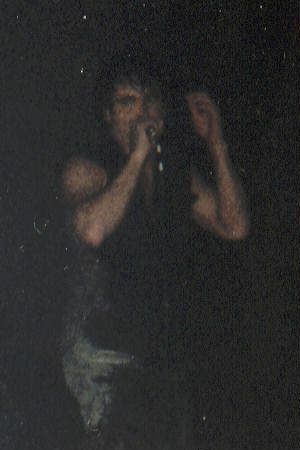 Trent takes centre stage on vocals and guitar. ...like he still feels the lyrics. A fantastic show.